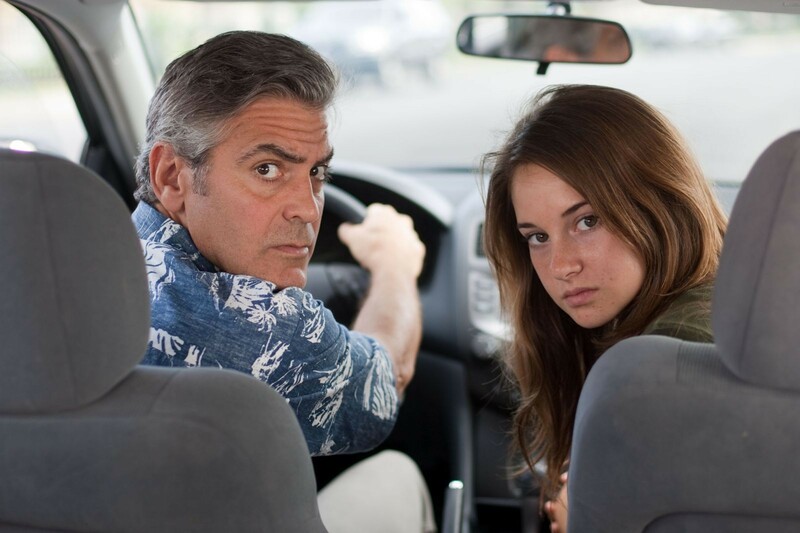 As with other independent (or better said, “branded-as-independent”) movies mixing comedy and drama, “The Descendants” (2011) by Alexander Payne has left a bitter taste in my mouth. Not that its main topic – the rougher-than-average midlife crisis of Hawaiian notable Matt King as his wife goes into a coma after a boating accident – affected me personally. More so, the human relationships the film intends to analyse just don’t feel believable. Based on my positive experiences of “About Schmidt” (2002) and “Sideways” (2004), I naively considered Alexander Payne’s main aptitude was in keeping the emotions and characters real, rather than, say, excelling in stunts, explosions and nonsensical plots as Hollywood mainstream does. 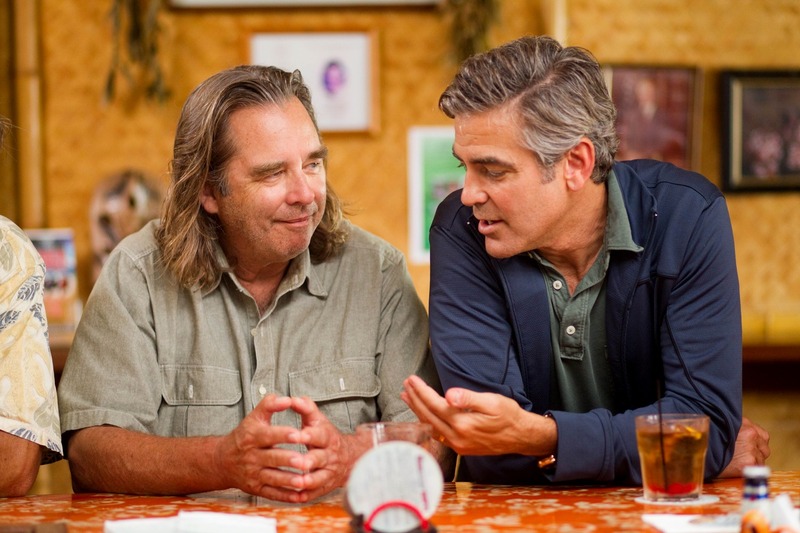 But here it seems our director let himself lull by the exotic setting of Hawaii and its hypnotising yodelling and forgot his lead actor’s main talent – George Clooney – was for smiling and looking good. And spending almost two hours with just a smiley and good-looking actor can be prove rather boring – especially if the only action consists in watching over a detested mother and wife, plus a bit of Kuoni-style island hopping. Having escaped from the US mainland, you would have hoped that the Hawaiian autochthones might offer an alternative view on American society, away from the Californian or New York stereotypes we are regularly exposed to – but Matt’s daughters Alexandra and Scottie (Shailene Woodley and Amara Miller), the elder’s moronic boyfriend Sid (Nick Krause – apparently specialised in caveman roles) or Matt’s cousins and friends have nothing very fresh to offer, except perhaps their lovely tacky flower shirts. As the plot unfolds and the skeletons find their way out of the closet, we understand the family had seen a crisis coming – and that Matt’s neglect and obsession with work may have caused more damage than he initially thought. But just as the story becomes actually interesting, when circumstances call for forgiveness and a spell of unrequited love, George Clooney struggles to convey any level of emotion. He’s so aloof and gobsmacked it’s actually surprising he has done so well as a lawyer. Then again we are in laid-back Hawaii. But don’t get me wrong, it’s perfectly common for someone to find it difficult to express his feeling in such a muddle, but George Clooney puts on his clueless stares and frowns so often and makes his wife seem like such a vain, uninteresting person that we end up feeling completely indifferent to the family’s distress. Add to this soppy scenes of feel-good family-time and the laboured softening of the daughters’ characters, Payne has evidently missed the mark. Where his previous features had found a real balance between miserable lead characters and comical supporting roles such a Kathy Bates in “About Schmidt” and Thomas Haden Church in “Sideways”, there is not much to bite on by way of comedy in the film aside from Sid’s ape-like stints and perhaps a couple of private detective-style scenes. 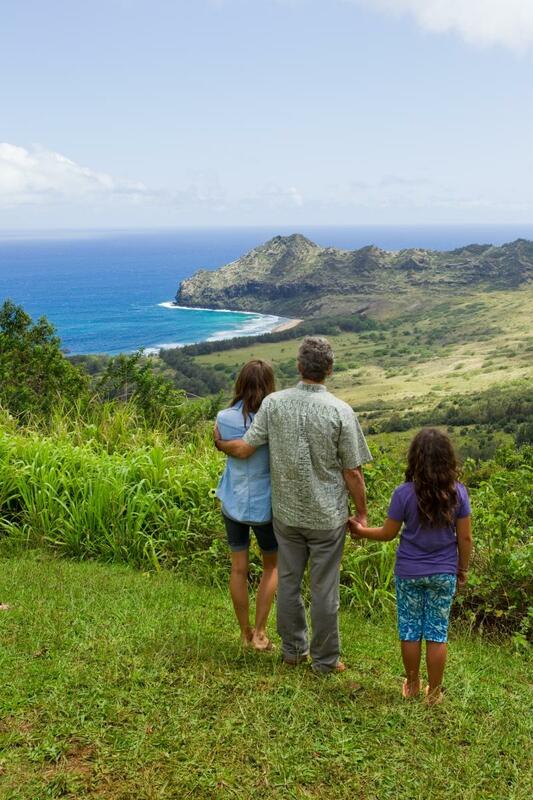 “The Descendants” doesn’t only draw its title from the family issues raised above, but from a separate strand to the story (awkwardly connected to the first) where Matt must decide on the appropriate buyer for the huge piece of island he and his hoard of cousins have owned for ages, a rather extravagant inheritance from their Hawaiian colonist ancestors. And there crop up considerations about heritage and remembrance, which could have been potentially interesting had Payne not soaked it all in a lot of syrup, slow-paced folk music and an all-too foreseeable outcome to the multi-billion buyout meeting. Fortunately Hawaii is a beautiful and bountiful place as one can imagine, so the disappointment of the film is slightly softened by its superb shots of lush vegetation and stunning beaches. For once Hawaii is not just pictured as a holiday destination but as a place where “real” people live – something I can perfectly grasp as an expatriate in Barcelona. But putting together a pretty animated catalogue saddled with a quaint voiceover doesn’t necessarily make a good film. If the viewer can’t give a damn about your characters then you’ve got something wrong and however slushy and colourful the packaging, it’s not going to work. For a successful mix of comedy and drama by the same director, “About Schmidt” (2002), with the inimitable and genuinely moving Jack Nicholson, is much more commendable.